Grab the kids, pack your bags and get ready for RV camping fun! 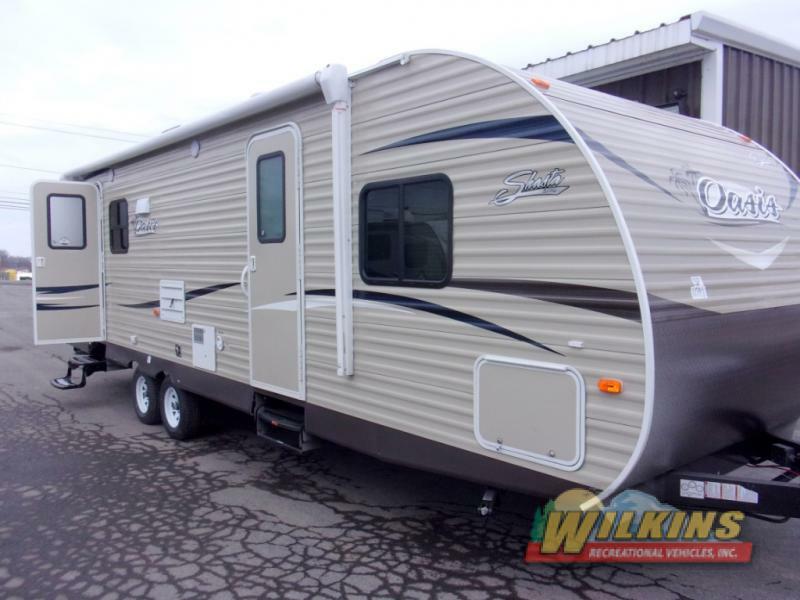 The Shasta Oasis Travel Trailer is a value packed RV camper that is designed to make your RV travel adventures extra easy. Choose from a wide variety of Oasis RV models ideal for families up to 8 as well as couples looking for a comfortable and affordable getaway camper. The Shasta Oasis is equipped with everything you need to enjoy a carefree camping trip with your loved ones. Check out all the upgraded features that are specifically included to make your RV vacation more convenient and comfortable. Starting outside, the Shasta Oasis includes a power LED patio awning, power tongue jack and front light hitch as standard features. This makes setting up and breaking down camp is a breeze. The Shasta Oasis is even wired and prepped for a back up camera and solar panel. With carefree aluminum siding and a durable diamond plate front rock guard, your camper is extra protected from road debris. Whether you are looking for an introduction to RV camping or you are upgrading from an older RV model, the Shasta Oasis is a perfect fit. Treat your friends and family to a step up in comfort on your next camping vacation. Inside, you will find cozy seating/sleeping options, a fully equipped kitchen, and plenty of storage space throughout. 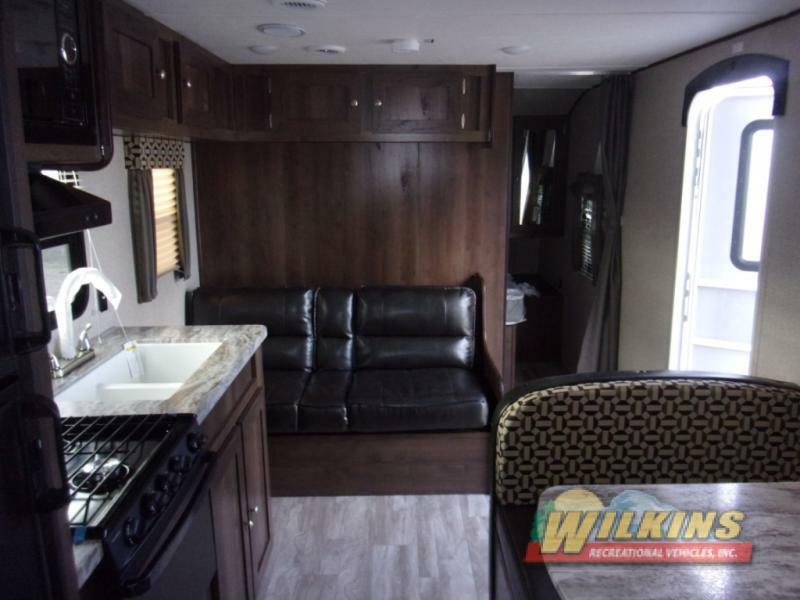 Depending on the floorplan, the Oasis offers a well padded sofa, U-shaped or booth dinette or even recliners such as in the Oasis 26RL Rear Living Model. 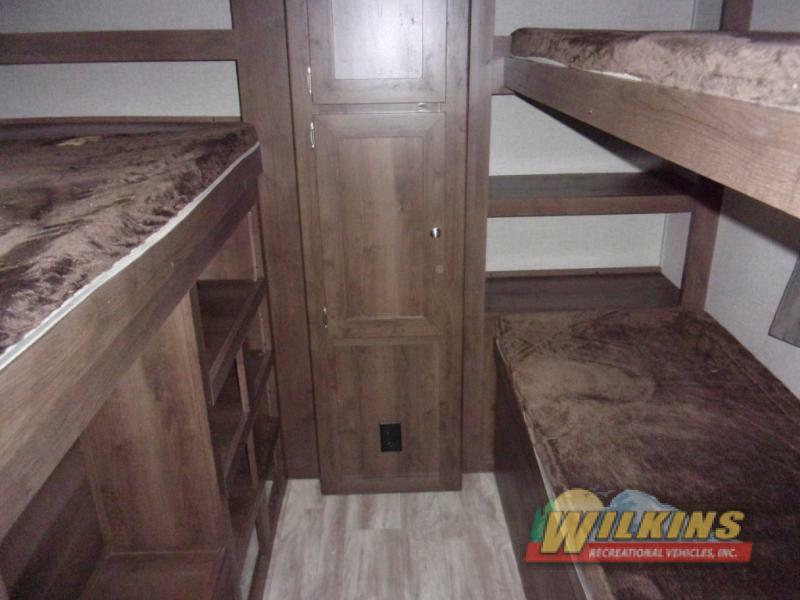 There are a wide variety of Oasis bunkhouse models available with plenty of room for the kiddos. 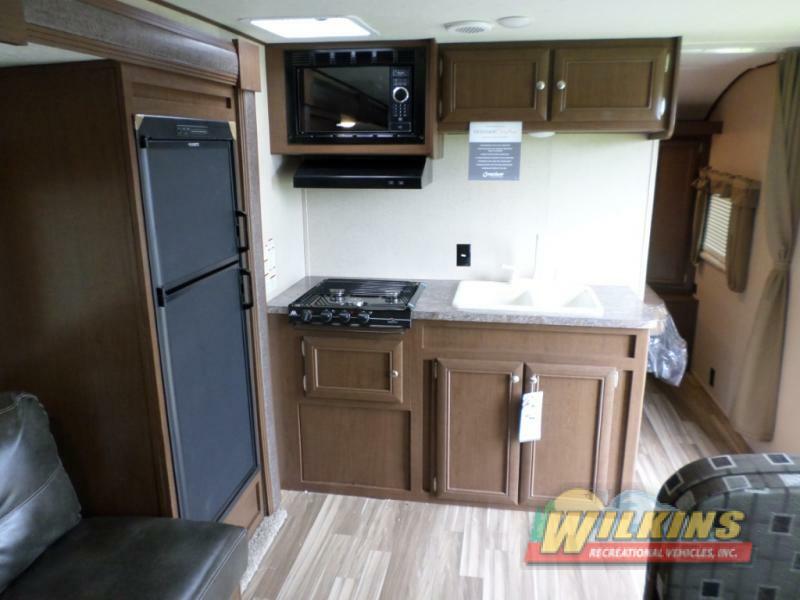 The Shasta kitchen includes upgraded amenities such as thermal foil countertops, an under mounted kitchen sink with high rise faucet, 3 burner cooktop stove, double door refrigerator and more. Creating delicious campground meals has never been easier! In addition, there a number of hidden storage areas located throughout the coach including under the queen sized bed, as well as beneath the sofa and dinette. This gives you more opportunity to bring along all your favorite games, blankets, toys and kitchen items. 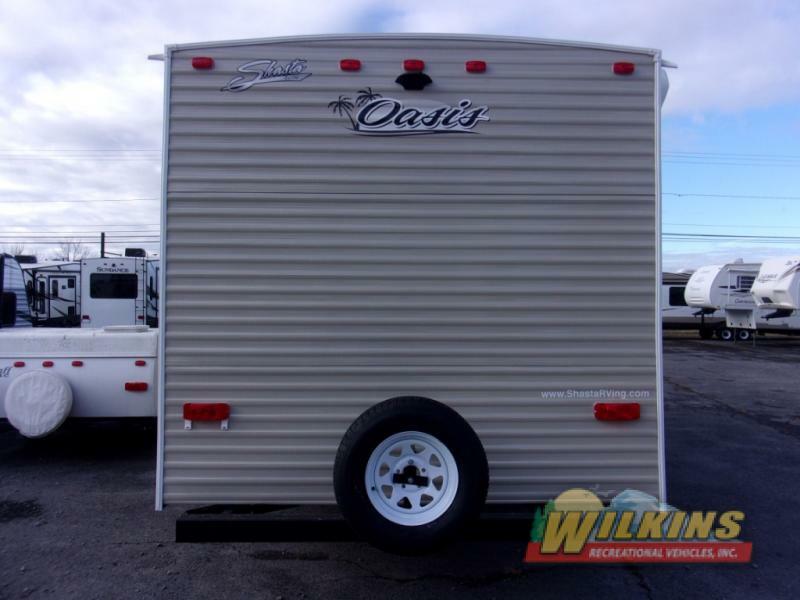 For easy RV camping fun, check out all the affordable Oasis Travel Trailers for Sale at Wikins RV. We’re here to help make your next RV vacation super easy and super fun!